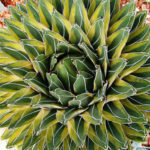 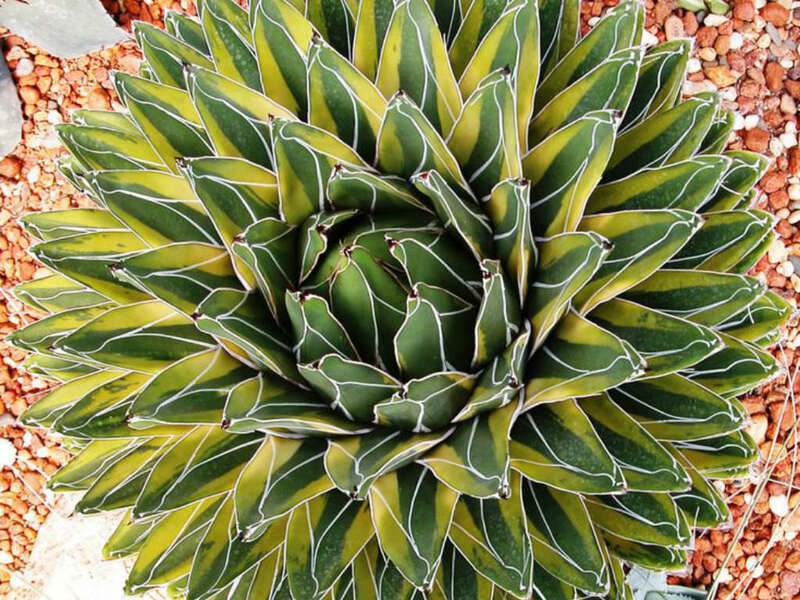 Agave victoriae-reginae ‘Golden Princess’ is a beautiful form of the Queen Victoria Agave (Agave victoriae-reginae). 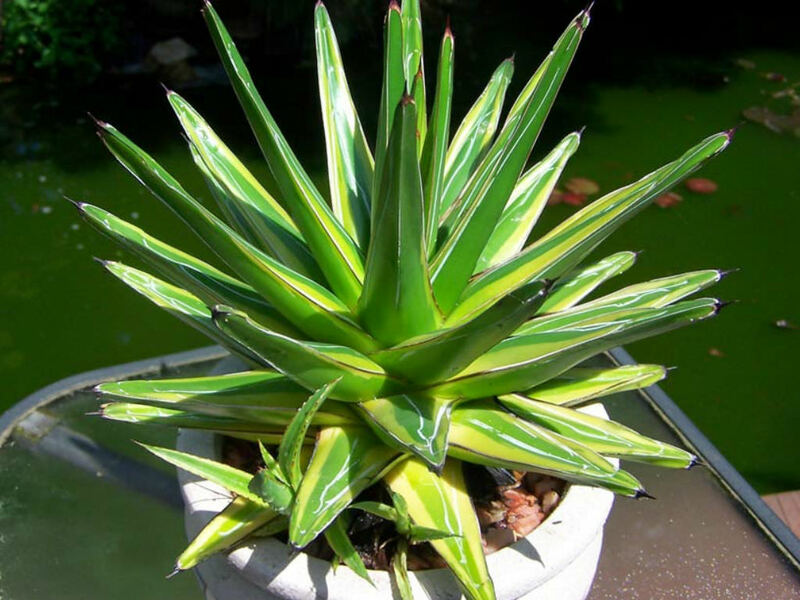 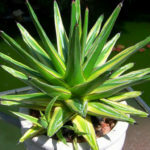 As with the species this succulent plant is a very slow-growing small clump forming plant that can get up to 1 foot (30 cm) tall and up to 1.5 feet (45 cm) wide with tight-fitting, tapered leaves that end in a small terminal spine with the leaf margins smooth and spineless. 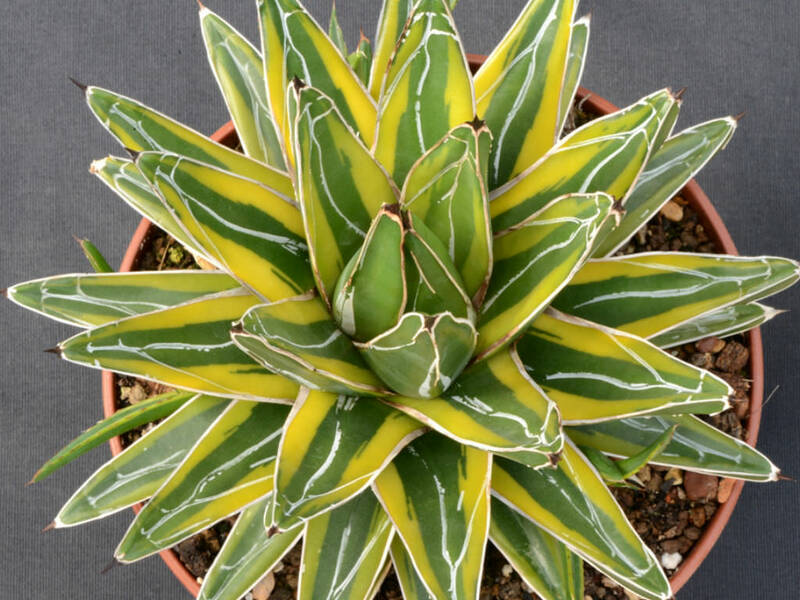 This cultivar has broad yellow margins which, in addition to the already dramatic silver markings on the margins and center of the leaf, give this plant a tricolored look.